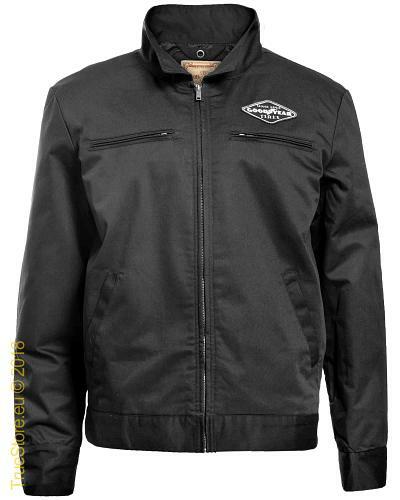 Goodyear worker style jacket Remington comes in black, light padded and made in sturdy and lasting poly/cotton oxford material. 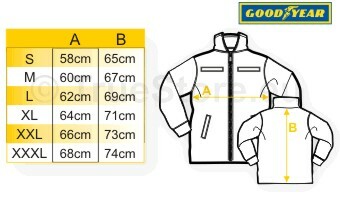 This ia a very practical jcket with 4 outer pockets and 2 innerpockets. As said lightly padded and lined with a smooth and comfortable satin quilted lining. Both cuffs and waistband can be adjusted though buttons and straps. Branded with the iconic Goodyear as an embroidered badge. No job too hard for this jacket.